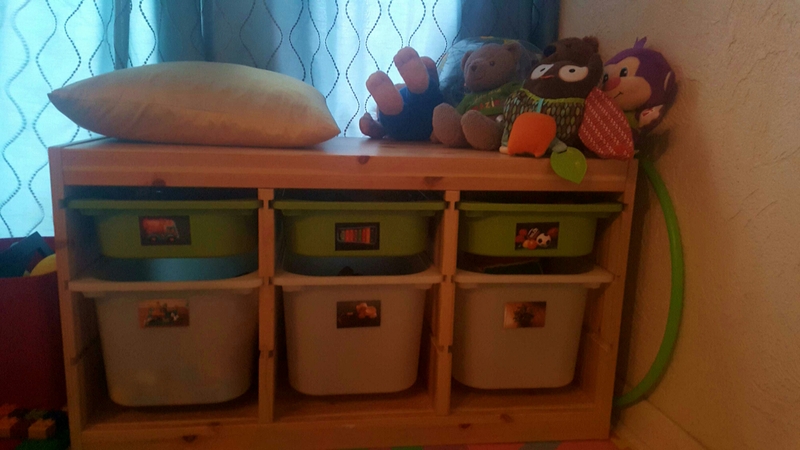 Our general toy box was not working for me or the kids, so it was time for a change. Thanks to a friend we received this handy Ikea organizer. Then I used my phone and Polaroid Zip printer to take print photos of what went in each bin. This has resulted in more of the toys getting played with (instead of just being buried at the bottom of a box) and helping her clean up her toys.